This project charter defines the vision for Redrawing History: Indigenous Perspectives on Colonial America. This document will outline audiences, goals, and values that will guide the project, inform its primary stakeholders, and provide the criteria against which we will evaluate our success. In December 1763, following years of gruesome frontier warfare, armed settlers in the Paxton Township—just outside what is today Harrisburg—went on a murderous rampage through a settlement of unarmed Conestoga Indians. They then attacked a Lancaster jailhouse, where refugees from the settlement had taken shelter. The “Paxton Boys” vowed to continue their rampage and marched to Philadelphia. However, they were met in Germantown by a delegation led by Benjamin Franklin, who convinced them to halt their attack. For the next year, the battle continued in the public sphere through pamphlets, broadsides, political cartoons, newsprint, and correspondence. That “pamphlet war” was not so different from the Twitter wars of today. Familiar themes surface across the debate, including fears of a native “other,” anxieties about protecting borders, deepening distrust between urban and rural populations, and the verifiability of media, or what we might call “fake news” today. In the contemporary socio-political context, we feel a renewed urgency to re-present events like the Paxton massacre using new archival assets, historical contexts, and interpretative frameworks. Redrawing History will employ a collaborative model that surfaces new archival records and connects scholars, artists, and tribal leaders. This project seeks to use the Paxton massacre as a means to engage polarized, zero-sum views of race, class, and cosmopolitanism with three core audiences: North American indigenous communities, particularly those invested in Native American graphic art; a representative body of secondary and post-secondary educators; and the researchers, scholars, academic humanists and broader public who constitute the primary constituency of the Library Company of Philadelphia. Digital Paxton will serve as the foundation of and online platform for Redrawing History. Launched in 2017, Digital Paxton serves as a digital collection, scholarly edition, and educational platform devoted to the Paxton massacre and pamphlet war. The pamphlets upon which historians have relied offer one glimpse of the incident, mediated through the perspective of wealthy, urban colonists. To broaden that perspective, Digital Paxton features a wealth of previously unexamined materials: diary entries from Moravian missionaries, correspondence between Quaker diplomats and indigenous trading partners, and letters and visual materials that situate the incident in the broader context of colonization. The use of visual material, most especially political cartoons, is one of the most substantive contributions Digital Paxton makes to the study of the Paxton massacre. Given the visual nature of that intervention, this project will employ a graphic novel to reinterpret the story of the Paxton massacre. This visual genre provides artists with an opportunity to tell the story with more tools than written language—especially the language of the settlers—would have on its own. There was nothing inevitable about the Paxton massacre or the template it provided for nineteenth-century colonization. Rather, this is the story of how a small group of vigilantes upended Pennsylvania peaceful settlement policies and created a precedent for indigenous dispossession and westward conquest. In exploring this little-known historical incident, Redrawing History seeks to underscore that history, and more broadly the project of historiography, is itself contested, and that everyone has a place in our collective memory and a role in shaping how history is presented. Accessibility: We are committed to ensuring that this project is accessible to students, scholars, and inquisitive citizens. To that end, we will make all electronic materials freely accessible under a Creative Commons 4.0 license. Accountability: As a strategic initiative at a non-profit institution, we will evaluate our success against our anticipated audiences and desired outcomes. We will fulfil our commitment to The Pew Center for Arts & Heritage by successfully implementing, to the best of our ability, the proposed programs and projects. We will consult regularly with our advisory council and steering committee and solicit and track data collected throughout the lifespan of the project. All kinds of work on a project equally deserve credit (though the amount of work and expression of credit may differ). Collaborative partners should be empowered to take credit for their work. Descriptive Papers & Project reports: Anyone who collaborated on the project should be listed as author in a fair ordering based on emerging community conventions. Websites: There should be a prominent ‘credits’ link on the main page with project leads listed first. This should include current staff as well as past staff. Critical Fabulation: This project, most specifically the graphic novel, is an act of critical fabulation, a term we borrow from Saidiya Hartman’s work in African American and African Diaspora Studies (“Venus in Two Acts Small Axe”). Hartman presents critical fabulation as a means to creatively imagine what might have happened, “to imagine what cannot be verified…to reckon with the precarious lives which are visible only in the moment of their disappearance” (12). Our creative team will strive to imagine such a reckoning in close consultation with subject area specialists on the advisory board and steering committee. Education: We are committed to supporting students and teachers at high schools, colleges, and universities. We will provide resources to support educators as they present the project and its related issues to a diverse group of students. This project seeks to empower young learners to situate contemporary cultural and political events in the context of eighteenth-century historical events. We also hope that this project promotes new collaborative opportunities for educators at secondary and post-secondary institutions. Humility, Patience, and Respect: We understand that there are real structural and communicational challenges to reaching communities that may never have heard of the Library Company of Philadelphia, never mind the Paxton massacre. We approach these audiences with respect, humility, and the clear-eyed understanding that this project will serve a case study with valuable lessons learned that may support for future outreach. Indeterminacy: Although we will strive to represent a range of different perspectives on the Paxton massacre, we acknowledge that there are limits to surviving historical records. We will recognize and respect those silences and lacunae and we will active seek to collaborate with those underrepresented communities. Interdisciplinarity: While interpretative materials will be grounded in specific disciplines, we will seek a range of interdisciplinary approaches to primary source material. While we seek to foreground the latest cultural and historical approaches to the Paxton massacre, we acknowledge that tools and methods evolve. As such, we regard this project as an articulation of one thoughtful approach to these historical and cultural records. Public Engagement: The Library Company of Philadelphia serves a community of scholars, academic humanists, and engaged community members; however, as the nation’s first lending library, the institution has a long history in public service. We will pursue new methods of public engagement through a range of public and private partners. In addition to increasing awareness of the project, we seek to provide new models of public engagement for our community. Transparency: We measure transparency in both our planning and outcomes. Alongside this charter, which seeks to delimit the goals and values that animate our project, we commit to sharing updates on a regular basis and to documenting the project’s successes, and, as importantly, its limitations, through publications and public events. Effective historical projects defamiliarize incidents we take for granted and remove the preconceptions that keep us from seeing familiar events in new ways. While many citizens don’t think of Pennsylvania as a site of atrocities against Native American tribes, the Paxton incident created a template for indigenous dispossession and westward conquest. Redrawing History aspires to challenge the historical consensus of the Paxton massacre and to invite new stakeholders into the project of historiography. Redrawing History will address students, educators, and indigenous audiences, as well as the academic humanists who comprise a core constituency of the Library Company of Philadelphia. Although the Library Company has not, historically, conducted significant outreach to Native American reservations, we have partnered with artists and advisors well-established within such cultural networks. Our hope is that those who encounter this project might see the work of history as always open to reinterpretation and they might feel inspired to search for other lost stories in our archives. Teachers struggle to find compelling ways to bring historical stories to their students, and we intend for this project to support them with the contextual apparatus necessary for them to integrate the Paxton massacre into their classrooms. We also hope that this story will motivate students to question both the histories they take for granted and the neutrality of the records upon which historians rely. This project will provide a model for public engagement in the humanities. By equipping an interdisciplinary cohort of scholars with new, innovative tools and methods, this project will empower academics to translate their academic research for wider, more diverse learning communities. We measure the outcomes of this project in terms of our three intended audiences. Project staff will solicit archival records from regional institutions and local Native American tribes that surface new perspectives on the Paxton massacre. The Creative Director will digitize records and make them freely accessible via Digital Paxton. In close consultation with the advisory board, the creative team will produce a graphic novel that reinterprets the Paxton massacre from the perspective of the Conestoga people. That graphic novel will be written, illustrated, and published by members of indigenous communities. The publisher will distribute the graphic novel, free of cost, to all 567 federally-recognized tribes in North America. The Creative Director will promote the public availability of the graphic novel at Indigenous Comic Con and other relevant platforms. Project staff will co-organize a national educators’ institute on the impact of colonialism on the indigenous communities with the Gilder Lehrman Institute of American History. The 35 participants will develop teaching materials tailored to the graphic novel and digital platform. The Creative Director will make all materials freely accessible via Digital Paxton and other suitable platforms. The Free Library of Philadelphia will also serve on the Advisory Council and will distribute the graphic novel locally to students and teachers. The Creative Director will track adoption statistics in terms of the quantity of books distributed and times the curriculum is downloaded. He will also present the project at relevant education events. Project staff will hire a public relations consultant, photographer, and videographer to produce videos that document the scholarly and creative process behind the project. Videos will be distributed through an advertising and social media campaign to increase academic and public awareness of the project. In close consultation with the advisory board, the creative and project teams will organize a public symposium and exhibition to promote the launch of the graphic novel. All events will be free and open to the public. The project team will plan and promote public events to include exhibition openings, a trip to the Smithsonian National Museum of the American Indian, a panel presentation on the development process, and additional events that will support the project in reaching intended audiences. The Creative Director and the Project Manager will present the project at various academic conferences and seek publications in leading journals. At the culmination of the project, the Creative Director will write a summative document that records the project’s scope, outcomes, and lessons learned. We will ensure that Redrawing History earns a permanent footprint through a robust documentation plan that includes digital outreach, written documentation, photography, and videography. Thanks to the publication of the graphic novel, this project is inherently documented. The printed book will be distributed to 567 federally-recognized tribes, the Free Library system, and the Philadelphia public schools. The 35 educators who participate in the educators’ institute will receive copies for their classes. Finally, the novel will be prepared as an e-book to be made freely accessible online. The exhibition will include an online version hosted by Digital Paxton, a program brochure outlining components of the exhibition, additional marketing and promotional materials to include posters, postcards, advertising, and a documentary film. The documentary will capture the creative process and provide a behind-the-scenes look at the curation of the public exhibition. It will be used in the on-site and on-line exhibition, and distributed via various other digital media platforms. Educational components will be documented through the creation of lesson plans. Guest lectures will also be recorded for distribution. Alongside documenting the project through journal publications, the Creative Director will present at various national conferences. He will author a summative document, with an executive brief, to be distributed at a 2020 symposium. 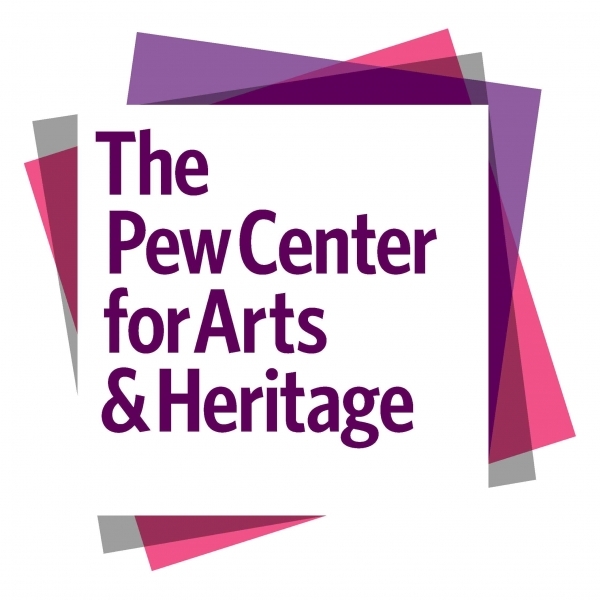 The Library Company is awarded the grant from The Pew Center for Arts & Heritage. Confirms all contractual relationships with vendors and participation by the Advisory Council members. Creative team begins research process and conducts local site visits. Project team begins planning educators’ institute with Gilder Lehrman. Creative Director reviews and comments on script. Illustrator receives final script and begins art. Project team reserves housing, accommodations, speakers for educators’ institute. Project team identifies timing and schedules public programs and events. Creative Director solicits archival resources and interpretative essays for Digital Paxton. Project team meets with public relations consultant to begin crafting marketing campaign. Creative Director begins planning fall exhibition and symposium. Creative Director applies to present project at various academic conferences. Creative Director ingests archival resources and interpretative essays into Digital Paxton. Creative Director writes graphic novel forward and delivers to publisher. Project team reviews graphic novel art and delivers to publisher. Publisher compiles print and digital editions of graphic novel. Project team finalizes marketing campaign with public relations team. Creative Director ingests curricula from educators’ institute into Digital Paxton. Creative Director, writer, and illustrator present graphic novel at Indigenous Comic Con. Creative team participates in symposium hosted at LCP. Advisory board participates in symposium hosted at LCP. Creative Director presents project at various academic conferences. Creative Director writes summative document, delivers to LCP and Pew.